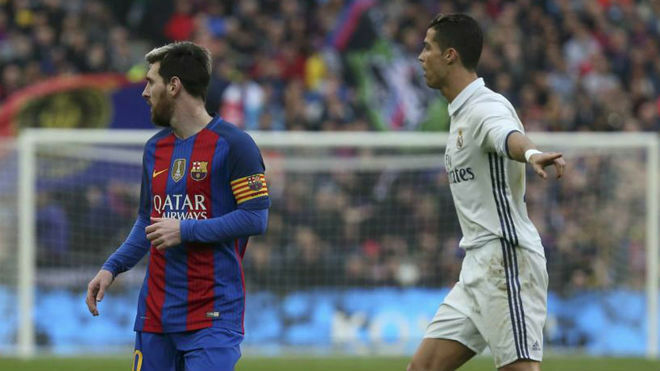 Fresh from winning his fourth Ballon d’Or on Monday evening, Cristiano Ronaldo has suggested that he’d have even more gongs than rival Lionel Messi if the pair had played in the same team. The 2016 award sees the Real Madrid man move to within one of the Argentine on the all-time list, but despite trailing in the head-to-head, Ronaldo again reiterated his belief that he’s a better all-round player than Messi. “It would be interesting to see both of us in the same team. I think great players should play together. So if we were in the same team, I think I would have more than him, but he wouldn’t be far off,” he told reporters. Asked in the aftermath of the ceremony if he has any ambition of overhauling Messi to become the most decorated individual in the history of the award, the Los Blancos forward admitted that he will fight to achieve that very same goal in the coming seasons. “I’m going to try. I’ll be in the fight, as always,” he said. The pair will once again face off to win FIFA’s Best Player award at a ceremony in Zurich on January 9, with Ronaldo the overwhelming favourite to scoop the new prize.